An iOS upgrade brings with it a lot of great new additions and bug fixes but sometimes it can also be just not satisfactory. Did you upgrade to iOS 11 and you don't like the outcome? The solution for this would be to downgrade to iOS 10.3. But some people have reported that their devices have become bricked when they attempted a downgrade. If this has happened to you, we are certain you are facing a very difficult situation, being unable to use your device. But worry not! We have a solution for you. Keep reading to find out what it is. 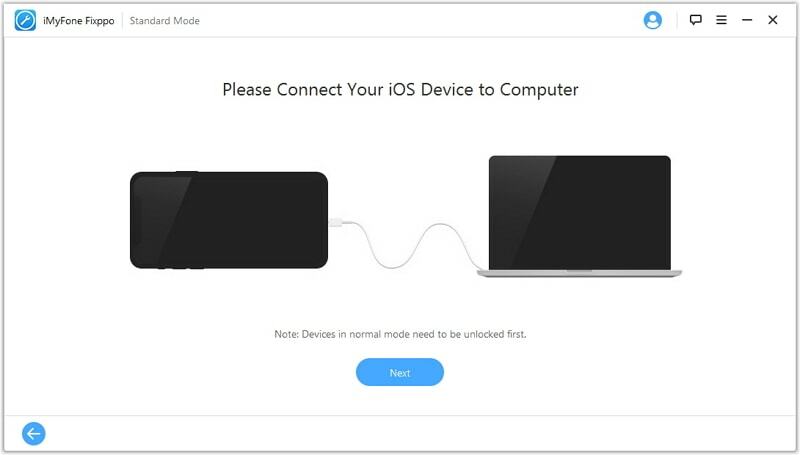 In this situation, there is only one way to get your device working normally again and that is to use a third-party solution to fix the software. One of the best is iMyFone iOS system recovery, a tool that is designed to fix various issue your device may be facing. The following are some of its features. The program is easy to use and very fast. You can fix the device in a few minutes. It can be used to fix just about any issue you may be having with your device including fixing a bricked iPhone, repair iPhone stuck on Apple logo, get iPhone out of recovery mode. It can be used to fix the device without any data loss. Download and install the program to your computer and then follow these simple steps to fix the bricked device. Step 1: Launch the program and from the main window, click "Start." Step 2: Connect the iPhone to the computer and once the program recognizes the device, click "Start" to continue. Step 3: You may need to download the latest firmware before you can fix the device. Click on "Download" and wait while the program completes the download. Step 4: Once the download is complete, the program will immediately begin fixing the device. Wait for the process to be completed and the device will restart in normal mode. 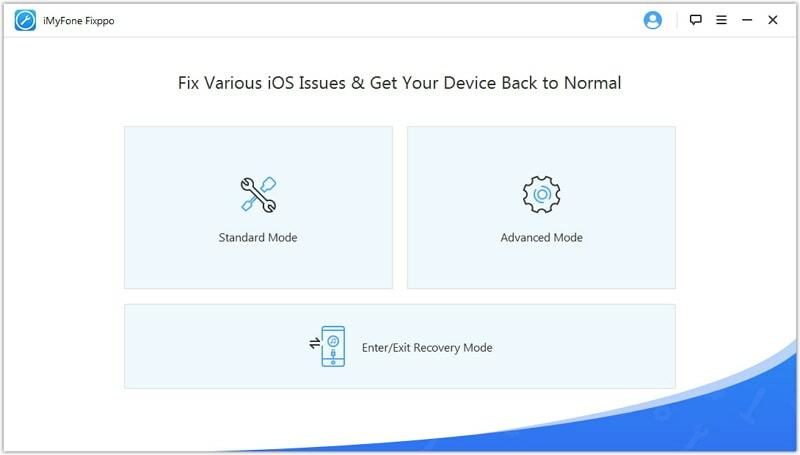 The upper method will fix the device without data loss but if the problem persists, or the device isn't recognized by the computer, you may need to employ more drastic measures and use iMyFone iOS System Recovery's Advanced Mode. Here's how. 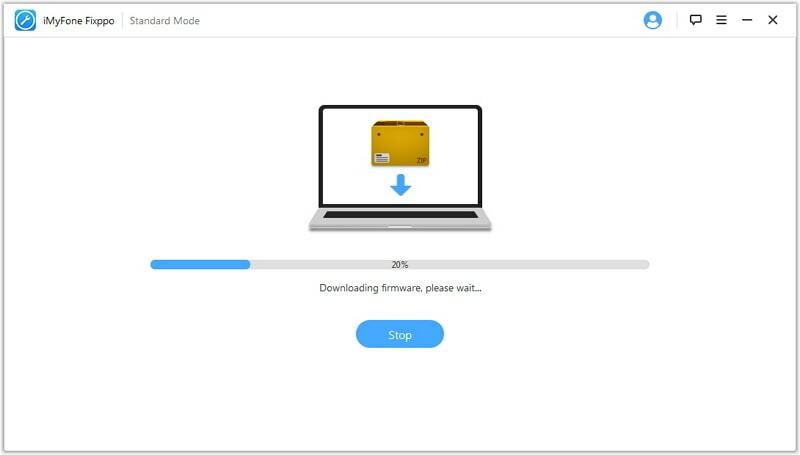 Step 1: Once you connect the device to the computer, download the required firmware. Step 2: Wait while the program fixes the device and restarts. This advanced mode will result in total data loss and you will need to set up the device as new. 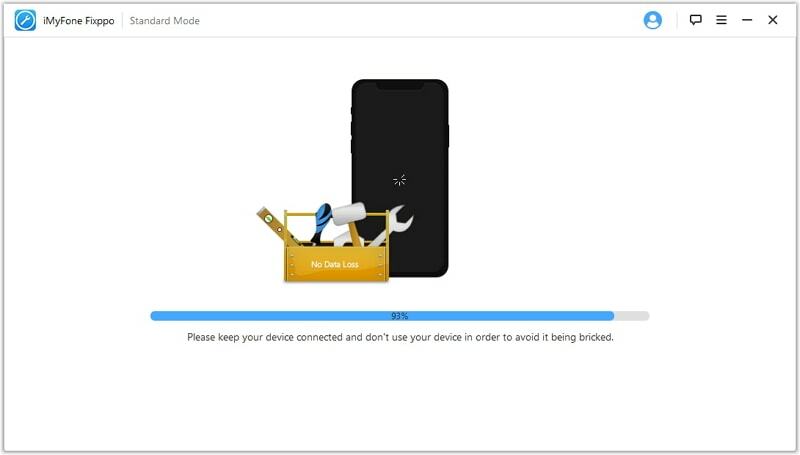 Another way to fix a bricked device is to put it in recovery mode to restore the device. This will erase the device and its passcode. Here's how to do it. Step 1: connect the device to the computer and launch iTunes. Step 2: Force restart the device by holding the Sleep/Wake and Home buttons at the same time until you see the Apple Logo. For iPhone 7 users, the buttons to press are the Sleep/Wake and Volume Down buttons. Keep holding the buttons until you see the recovery mode screen (the iTunes logo with a USB cable pointed towards it). Step 3: When you see the "Restore" or "Update" options in iTunes, choose "Restore." Step 4: iTunes will download the software for your device. Wait for the process to be completed and then set up your device as new.